The site was even visited according to Matthews (1978) by Princess (later Queen) Alexander in 1881 when she stayed at Normanton Park. Now a boggy hole surrounded by modern housing in a nature reserve managed by Leicestershire and Rutland Wildlife Trust. Cox (1994) notes the field name Helwelle in 1498. The site may be another name for the above site. The first part of the name suggesting it derived from hæl meaning ‘omen’ or hælu meaning ‘health. 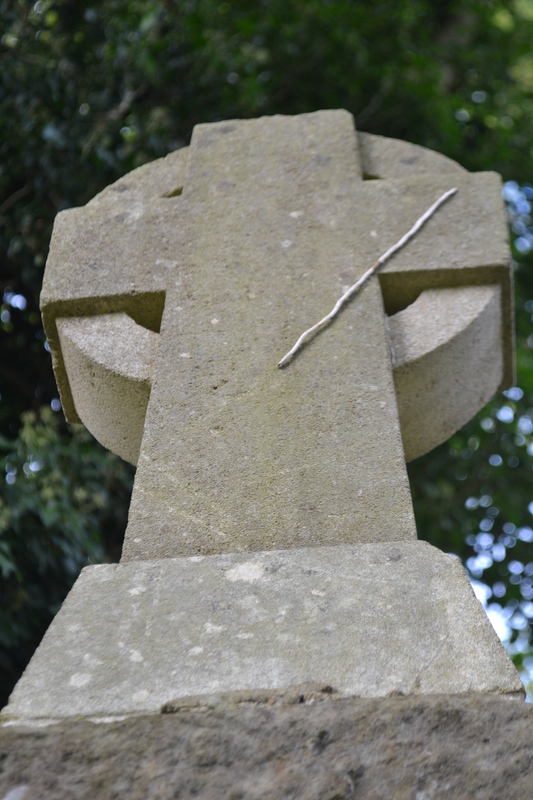 Alternatively, it may be another name for Chriswell, a lost site on the opposite side of Burley Road to Our Lady’s Well. Its name may derive from Christ. Whatever its origins, it was said to have been used by a Belgian refugee in the First World War to cure his sick cow. 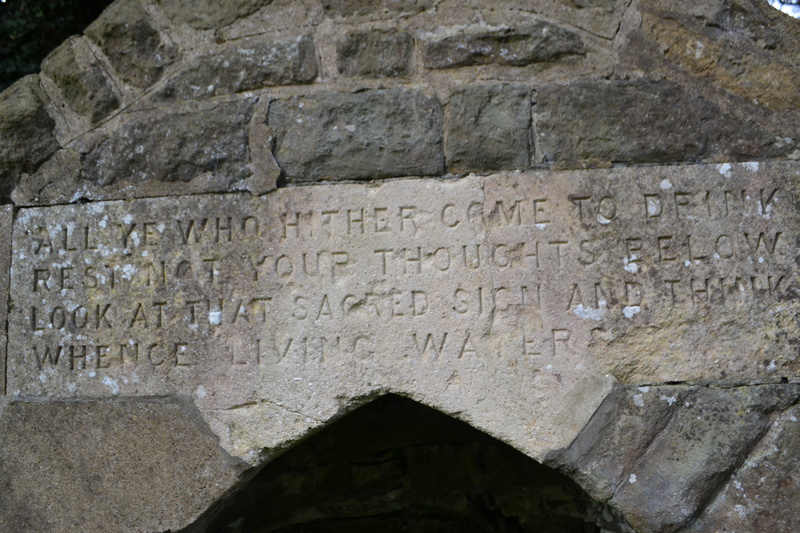 It appears to have been a holy well as apparently the church collected money from the well. 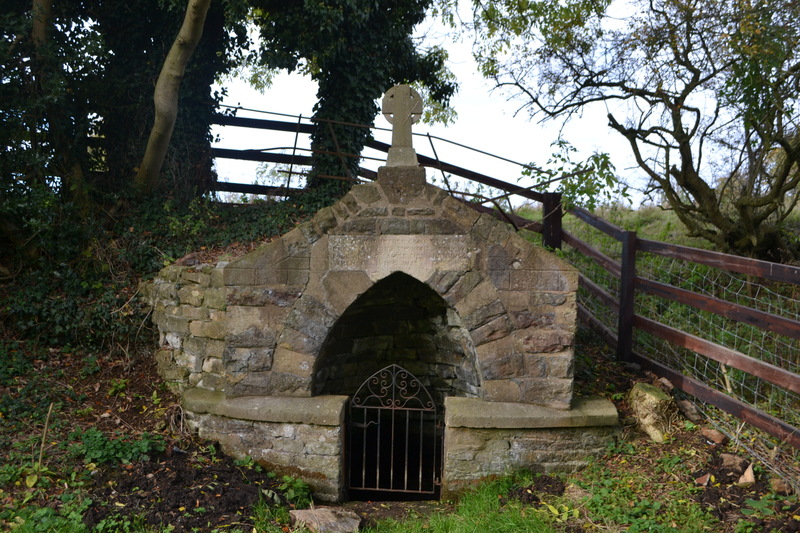 Sadly Oakham’s Lady Well is a far cry from its former self. Enclosed in dense and impenetrable undergrowth; brambles, nettles and briars, meaning that the source cannot be reached without considerable effort and pain. However, through the help of a local who was able to give an easier route to the well, I managed to reach it in a private garden. However unfortunately although the spring still flows the source is a boggy morass. Considering its fame one would imagine that the well head may retain some form of infrastructure, but nothing remains, bar some iron staining. Enclosed in a 1990s housing estate and largely forgotten, unfortunately there is little to excite even the most ardent holy well researcher! 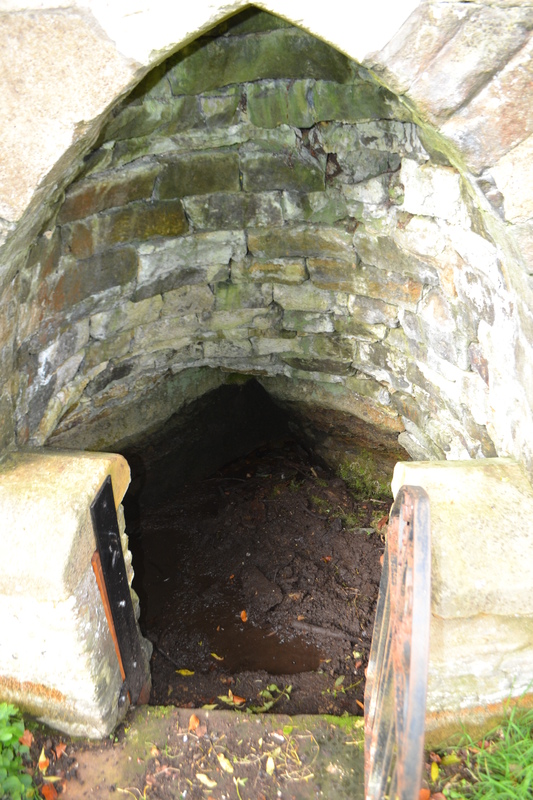 Our Lady’s Well is in there!